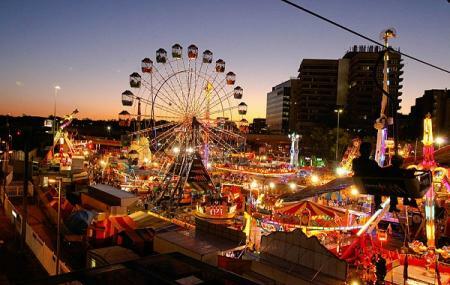 Ekka is considered to be Queensland’s largest annual agricultural show wherein around 40,000 visitors come every year and participate in various competitions and enjoy the spectacular night shows and programs. This festival traces back to 1876 when it was first held as a means of showing the agricultural and industrial exhibits. Today, when you go there, you will find numerous other things like side show alley, animal parades, wood chopping competitions and much more. You will get to taste fairy floss, pluto pups, burgers and chips. You will see lots of students around who have come for excursion trips as it is the best open classroom. For lots of entertainment and information, try making it to Ekka. To personalise your visit to the city, you can use an all-inclusive Brisbane trip planner for the same that will give detailed information about visiting the city. Hotels like Kangaroo Point Holiday Apartments, Allegro Apartments and Ibis Brisbane will solve your problem of where to stay in Brisbane. Curated Brisbane vacation packages await! Book the best ones and start turning your dream into reality.Discover various ways for how to reach Brisbane and complete the booking by choosing your mode of transport. People normally club together Sushi Kotobuki and The Brisbane River Cruise while planning their visit to Ekka. Love the experience I had during EKKA. I came there on weekday to avoid the weekend crowd and I was lucky that I really enjoy all shows as well as the foods inside. I am so much in Love with their Sundae Ice Cream. As an international traveller, I would say that their Strawberry Sundae Ice Cream is the best in the world :) I could barely stop buying more and more. Don’t forget to stay till the evening for they have a great shows in the main attraction stage, the horse and monster car shows as well as others with great fireworks along with the show. Great family day. You can spend as much or as little as you like. Reasonably priced food. Dagwood dogs $6 to $7. The ones across from the convention centre are the best. You must have a strawberry ice-cream fresh berries in the special lick ice-cream. Wood chopping has a new marquee no more sitting out in the hot midday sun. It is a good place to visit, especially for family trip. You can introduce farming products to your beloved children while enjoying lots of amazing recreation spots. Do not forget to book a ticket like weeks earlier before your visiting day. Though you can buy the ticket on the spot, buying ones in advance would be recommended. My tips: 1. Always bring your own bottle of water and outing kits (Sunglasses, hats, and your skin care) before you go to this place. 2. Avoid the day when holiday is happening. That would save your breath. 3. As this event is more like outing events, always consider the forecast. 4. If you are an international student, choose students price. 5. Last but not least, if you are international students, "Come at least once, so you can say you are in Queensland."